The Bipartisan Budget Act of 2015 requires OSHA to adjust its penalties based on inflation. Congress directed that the updated penalty amounts apply to all penalties proposed or assessed after August 1, 2016. The Department of Labor will be publishing an Interim Final Rule adopting these new penalties on or before July 1. The department will also adjust its penalty levels annually based on the Consumer Price Index. Adjustments will apply only to penalties with a dollar amount and will not apply to penalties written as functions of violations. For example, a penalty written as follows, “the penalty shall be the full cost of restoration and repair of archaeological resources damaged,” will not be subject to adjustment. In the case of a penalty with only some dollar amounts, i.e., “the penalty shall be the maximum of either twice the value of the transaction or $250,000,” only the dollar figure will be subject to adjustment. 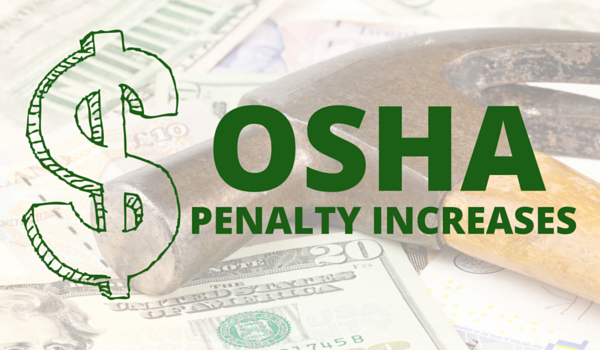 It is important to note that state OSHA plans will be experiencing penalty increases as well. However, each state will be given time to get those changes passed through their legislatures. To learn more, visit www.osha.gov/penalties.html.